I previously posted about Clerk Colvill, Child Ballad 42, which I enjoyed as I edited Mermaid and Other Water Spirit Tales From Around the World . The other ballad I included in the collected is Child 289 and I personally prefer it over Clerk Colvill. Most commonly known as The Mermaid, seven versions from Child appear in my book under various titles, including Greenland, The Seaman's Distress, and The Stormy Winds Did Blow. As I read it, Iwanted to listen to it, so I hunted some versions down on the internet. Here's the text to Child 289B, which more closely resembles many of the modern recorded versions. Actually, most of them tend to be a hybrid of 289A, 289B and 289C. The ballad draws from the superstition that when sailors spy a mermaid, a shipwreck is imminent. With a comb and a glass in her hand. And the land-lubbers lying down below. For the raging seas, etc. As for recorded versions available for download, I preferred The Mermaid Song by the Floorbirds. Other versions you might prefer include The Mermaid by The Pirates of St. Piran and The Mermaid by Celtic Stew. 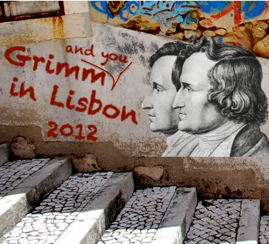 Brüder Grimm Kongress 2012 is another conference dedicated to the Grimms' Bicentennial next year. It is scheduled for December 2012 in Kassel, Germany. (Brrr... It'll be cold!) Most of the conference site is in German but the call for papers is in English and I will share it below. Note that the dates are given in European form, not U.S. with day/month/year. Fairy tales, Myths and Modernity – 200 years of Brother Grimm’s Children’s and Household tales” Kassel, 17.12. - 20.12.2012. 20th December 2012 marks the 200th anniversary of the publication of the Brother Grimm’s first volume of their Kinder- and Hausmärchen (Children’s and Household Tales). This work is imbued with the spirit of Romanticism. It probably represents the most famous collection of early nineteenth-century fairytales throughout the world and has proved to be one of the most frequently translated works of German literature. The Hessian cities of Hanau, Steinau, Kassel, and Marburg are the places where the Grimm Brothers were born and raised, where they received their education, where they studied and started their careers. In this region the Kinder- and Hausmärchen were collected and recorded. 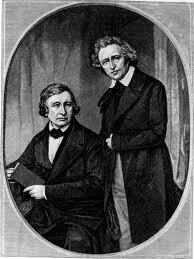 Besides the general success of their fairytale collection, the Brothers Grimm played a leading role in many other areas: in Germany as well as abroad their mode of collecting fairytales, sagas, anecdotes, legends, and animal epics set a standard. They were emulated and celebrated as discoverers and editors of literary as well as legal sources and monuments of the past, as researchers of myths and dialects, as historians of languages, and as dictionary compilers. The old narrative material, the myths, and sagas of heroes of archaic cultures and earlier times exerts a remarkable fascination even today on writers of fantasy and fiction novels. 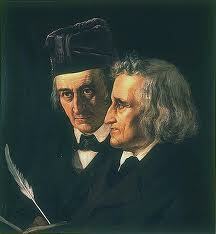 The Brothers Grimm tackled the question of how to treat old and most ancient narrative material. They maintained points of view that are still controversially discussed today. The 200th anniversary of the first volume of Kinder- and Hausmärchen is to be celebrated with an international conference under the provisional title “Fairytales, Myths, Modern Age” to be held in Kassel from 17 to 20 December 2012. Researchers and colleagues from all over the world are cordially invited to the place where the Brothers Grimm spent more than thirty years of their lives. In Kassel they collected not only fairytales and sagas, but also started work on their famous dictionary. The conference at the University of Kassel will give researchers from all over the world a platform to discuss these topics and to reflect on new perspectives on the Brothers Grimm and their work. We welcome proposals for 30 minute papers (700 words) with a short biography and current contact details. Please send them by email to grimm2012(at)uni-kassel.de in the form of a MS-word document. The deadline for the submission of all proposals is 14 November 2011. This will be a multi-disciplinary conference, and contributions from any disciplinary perspective will be welcome. We also welcome proposals to read creative work, screen films, mount performances and exhibit visual work. Confirmed Keynote Speakers: Professor Donald Haase (Wayne State University) and Neil Philip (Author and Independent Scholar). Fairy Fail Theatre Presents: Beauty and the Beast from Olivia A Lukawski on Vimeo. Mermaid and Other Water Spirit Tales From Around the World in paper has dropped to $28.79 on Amazon US. I don't control the discounts on the book, but wanted to share that it is the cheapest it has ever been if you are considering it. I don't think the price will remain this low for long. It also qualifies for free shipping. I don't know why it has been so deeply discounted when Bluebeard remains at its list price. Not fairy tales as in Hans Christian Andersen sorts of collections (a copy of which I already own, heh heh)--actual stories focusing on things of a fae nature. I've been interested in this topic for quite some time, actually, but most of the books I come across are the sort with pictures for children. That being said, I was wondering if any of you had any suggestions for reading material--or, perhaps, even websites that were particularly interesting? Personal stories, perhaps? I don't have a comprehensive list at the moment--don't know why I never compiled one actually--but I thought I would share some of my top picks here and perhaps add more during the week. These are my first books to consult when I am reading about faerie lore and have a place on my shelves. First off, one of the most important books about fairies is an old one, The Fairy Mythology: Illustrative of the Romance and Superstition of Various Countries (Classic Reprint) by Thomas Keightley. It has also been published under the title The World Guide to Gnomes, Fairies, Elves & Other Little People. It is a classic and remains one of the best books. Every other book references this one--and you should be suspicious of any book that doesn't. The best news is that this one is available all over the internet for free. I recommend either a PDF version from Google books, there are a few, here's one or the version at Sacred Texts. There are also reprints like the ones I linked to above. Yes, it is old, but that doesn't diminish its importance or significance. 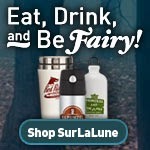 Another important book is The Fairies in Tradition and Literature . Katharine Briggs is important in the world of folklore and fairy tales. She was an expert in faerie lore, too. (I even wrote an article about her for Faerie Magazine last year.) She wrote a few books about faeries and their lore. The easiest to obtain these days is The Fairies in Tradition and Literature. She also wrote An Encyclopedia of Fairies: Hobgoblins, Brownies, Bogies, & Other Supernatural Creatures and The Vanishing People: Fairy Lore and Legends. Next is Strange and Secret Peoples: Fairies and Victorian Consciousness by Carole G. Silver. This one is one of the most recent of the books listed here and important. No, this is not a collection of stories per se, but it is so wonderful to read the snippets and analysis that you really won't care. The Fairy Faith in Celtic Countries: The Classic Study of Leprechauns, Pixies, and Other Fairy Spirits by W.Y. Evans Wentz is another classic and easily found for free on the internet such as at Gutenberg and Sacred Texts. And for fun and interest, I also recommend The Secret Commonwealth: Of Elves, Fauns, and Fairies (New York Review Books) . This is a short classic available all over the internet, see Sacred Texts and Google Books, and but a recent edition with an intro by Marina Warner is an excellent edition to consult. As for collections of worldwide faerie stories, there are more encyclopedias to consult than tale collections. An excellent choice is Spirits, Fairies, Leprechauns, and Goblins: An Encyclopedia which would be quite lonely on your shelf without its companion, Giants, Monsters, and Dragons: An Encyclopedia of Folklore, Legend, and Myth.